2 images. 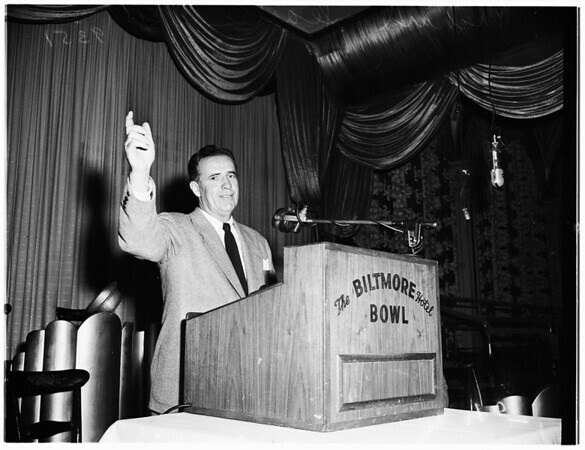 Speaker at Town Hall, 8 October 1951. Richard Searles, Undersecretary of the Interior.